For almost 50 years, Christ the Lord has been providing quality Christian education to our community. Most recently, in 2010, we daughtered a church and school in Sienna Plantation. The school is called Divine Savior Academy. DSA is dedicated to providing excellence in education for all its students. 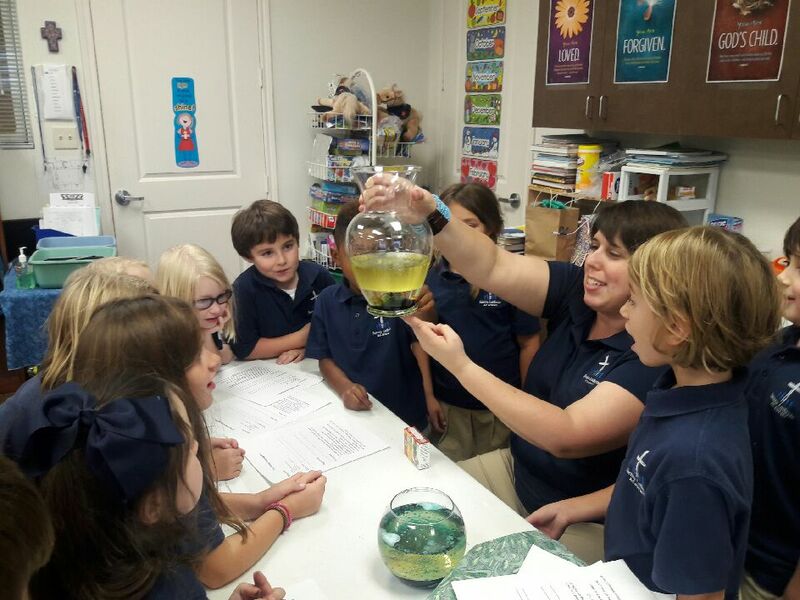 Its degreed teachers are committed to achieving this excellence by maintaining high academic standards, a safe, disciplined, nurturing environment, and proactive home-school communication. But DSA is also dedicated to enlightening the hearts of all our students. Christian education is Christ-centered education. The Savior and His love for us are at the heart of all we think, do, and say. The Academy is a place where children learn the message of salvation as found in God’s Word. It’s a place where children learn to fold their hands, bow their heads and talk to God. It’s a place where the Bible serves as the framework for absolute guidance and truth. It’s a place where love for God and His Word are instilled and nurtured in our precious children. In short, DSA is a place where children grow in their relationship with the Lord on their journey toward Christian maturity. For more information about DSA and how to enroll, click below.